Download one of the top free war games and prepare for combat! 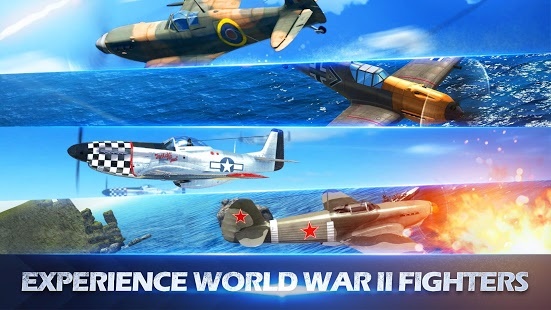 Climb into the cockpit of your fully customisable World War II warplane and get ready for take-off - your mission is about to begin! Take to the skies and join the battle in epic WWII dogfights! Be an ace pilot! Fly solo as a lone wolf or team up with your squadron to control the skies in intense PVP multiplayer games and battles. An epic combo of airplane stunts action and an exhilarating shooting game. Pull off gravity-defying stunts and tricks, get the enemy in your sights and hit the trigger to shoot them down. It's life or death up there, and only the bravest and most skilled pilots survive!